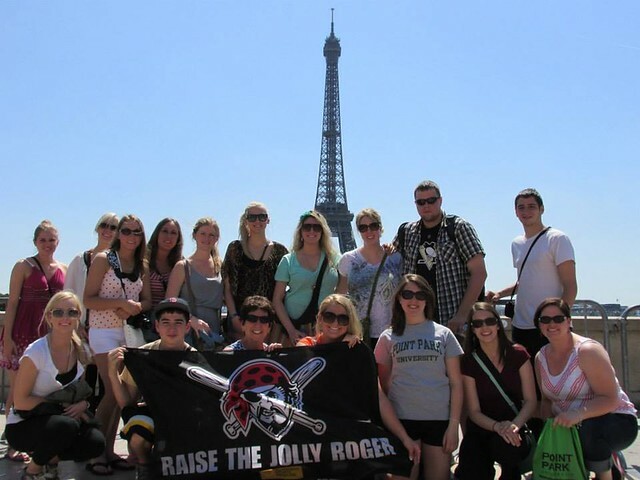 Point Park elementary education students study abroad at the University of London. Several Point Park education students are currently teaching abroad in Ireland. Tell me about the School of Education's study abroad program. The School of Education provides Point Park University education students with an opportunity to study abroad for approximately three weeks. Students can earn course credit while experiencing another culture. The faculty-led summer program includes course sessions, school visits and cultural tours. There are many reasons to study abroad. Some of the benefits of studying abroad include reaching academic goals, gaining an appreciation of other cultures, enhancing your resume and learning more about yourself through the experience. When is the study abroad program offered? Working with the schedules of education majors, the School of Education offers study abroad opportunities in the fall, spring and summer semesters. Can I student teach abroad? Yes. In February 2019, several students from the School of Education will be teaching abroad in Ireland. Education majors interested in studying abroad or student teaching abroad, should contact Ginny Chambers, Ed.D., assistant professor of education.